Calabasas, CA (March 6, 2018) National Technical Systems, Inc. (“NTS”), the leader in qualification testing, inspection, and certification solutions in North America, is pleased to announce the hiring of Jeff Keene as its Chief Information Officer. Mr.
Keene will be responsible for leading NTS’ Information Technology efforts, including the continued development of NTS’ customer-facing technology solutions. Ray Milchovich, NTS’ Chief Executive Officer, stated, “We are excited to welcome Jeff to the NTS family. His expertise in driving large-scale technology initiatives will help our organization thrive in an industry where the thoughtful implementation of technology can be a true differentiator.” Most recently, Mr. Keene served as the CIO for DPI Specialty Foods, a leading distributor of chilled and frozen specialty foods, which generated more than $1 billion in annual revenue across multiple facilities in the United States. 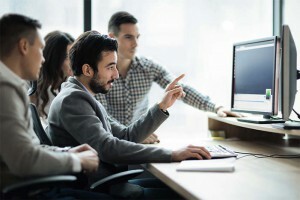 Mr. Keene started his career at Arthur Andersen Consulting and has held various executive-level IT positions since he joined Arbonne International as Director of Information Technology in 2006. National Technical Systems, Inc. (NTS) is the leading provider of qualification test- ing, inspection, and certification services in North America, serving a broad range of industries, including the civil aviation, space, defense, nuclear, telecommunications, industrial, electronics, medical, and automotive end markets. Since 1961, NTS has built the broadest geographic presence in the United States, offering more than 70 distinct environmental simulation and materials testing categories, including climat- ic, structural, dynamics, fluid flow, EMI/EMC, lightning, product safety, acoustics, failure analysis, chemical, and other industry-specific tests. 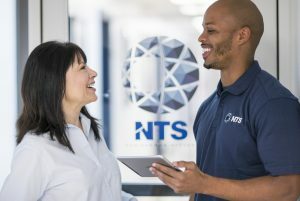 Operating through a network of more than 27 technologically advanced testing laboratories, this geographically diverse footprint puts NTS facilities in close proximity to its more than 4,000 clients, allowing NTS to serve the nation’s most innovative companies with industry-leading accessibility and responsiveness. NTS is accredited by numerous national and international organizations and operates its in- spection division under the Unitek brand, providing a wide range of supply chain management services. NTS’ certification division, which operates under the NQA brand, is one of the largest and most respected global ISO registrars, with active certifications in more than 75 countries. For additional information about NTS, visit our website at www.nts.com or call 800-270-2516.